Our own local art center is closed today. Not because of threats to the NEA and PBS, but the weather. Hood River, although a rural county in Oregon, voted 60% for Hillary. I look forward to seeing Cindy Sherman’s strike placard! 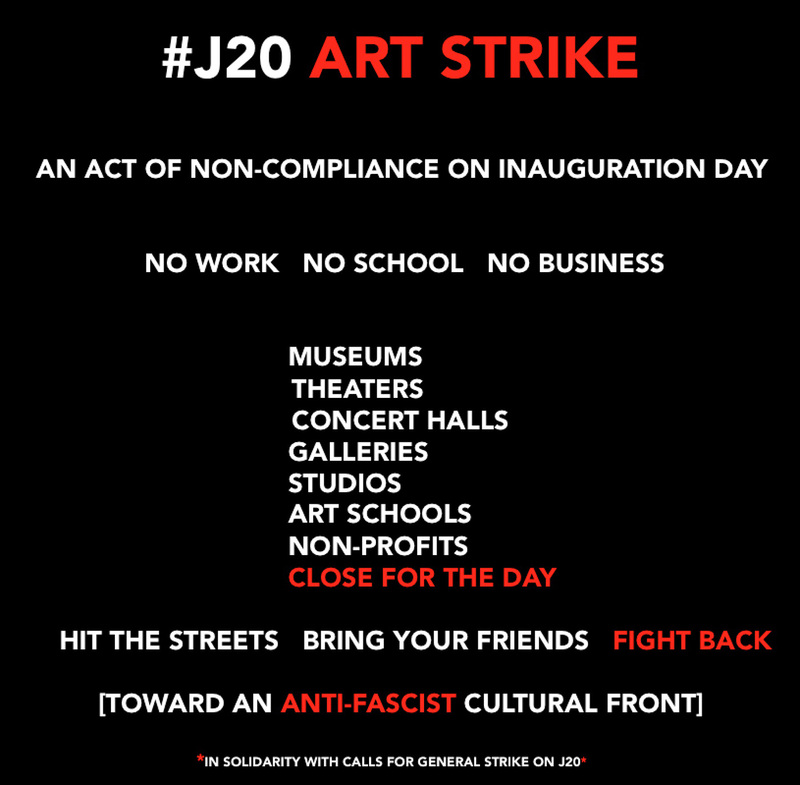 Comments Disabled To "ART STRIKE: An interesting list of artists and institutions …"
That’s okay, we have the Pats game on Sunday! My tenuous thread to Ephdom with this post (not that I normally observe this nicety) is the long tradition of art and art history among so many alums.